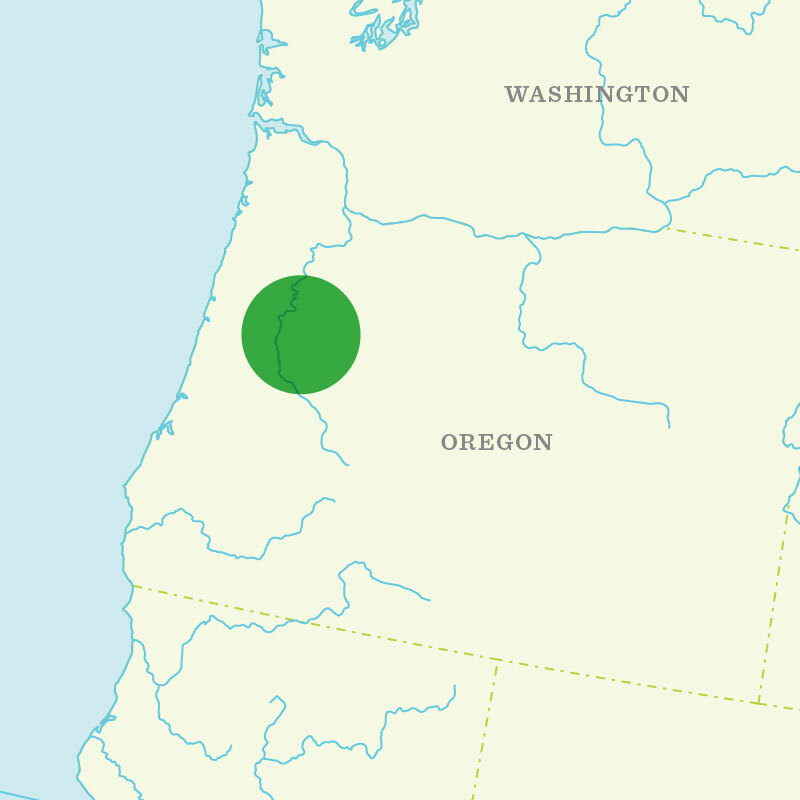 This growing area is in the Willamette Valley, which ranges from west central to northwestern Oregon. The Willamette Valley is irrigated with wheel-line sprinklers, center pivots, and big guns with water in the lower valley primarily pumped from shallow wells that reach into the high water table. In the north and mid-valley areas, the water is supplied from the Willamette River and from slightly deeper wells.